Lauren Longbottom has been the children’s librarian at Ridley Township Public Library for six years and is also a volunteer for the Delaware County SPCA. She introduced Mutt-i-grees in the Library to her patrons this past summer, with a five-week series for children of all ages. 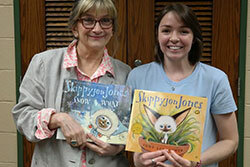 To promote and kick-off their Mutt-i-grees programming series, the library invited local author/ illustrator Judy Schachner, creator of the popular and best-selling series, Skippyjon Jones, to visit. The first program included a simple story time program, featuring Booker, the library’s Mutt-i-grees mascot, reading several books about shelter dogs, and creating a craft. The following week, children spent time reading stories to trained therapy animals thanks to Pals for Life, a local non-profit organization dedicated to providing companion animal programs to people who need them. Their Read to Pet Pals program enables children to improve their literacy skills and self-esteem by reading to a loving audience of dogs and other pets. Children also created sock toys, and delicious treats for the dogs at their local shelter. Tying the socks proved a bit tricky for the younger kids, but everyone had a great time mixing up the peanut butter treats. The shelter was happy to receive these items the dogs were overjoyed! The library wrapped up its summer series with a visit from the Delaware County SPCA. Children met Cupid, a Mutt-i-gree awaiting his forever home (and who loves to give kisses), and also learned the proper way to meet dogs and react to stray dogs. Lauren says the children in her community really enjoy being a part of something special and meaningful. Knowing they are making a difference in the lives of animals makes them feel extremely proud. She adds that parents are also using Mutt-i-grees as an opportunity to teach their child about love, sharing, responsibility, and compassion. This fall, the library is holding an annual donation drive to collect blankets, sheets, comforters, and towels, to be donated to the local shelter. These items are used to help keep the animals warm and comfortable as the weather gets chilly. 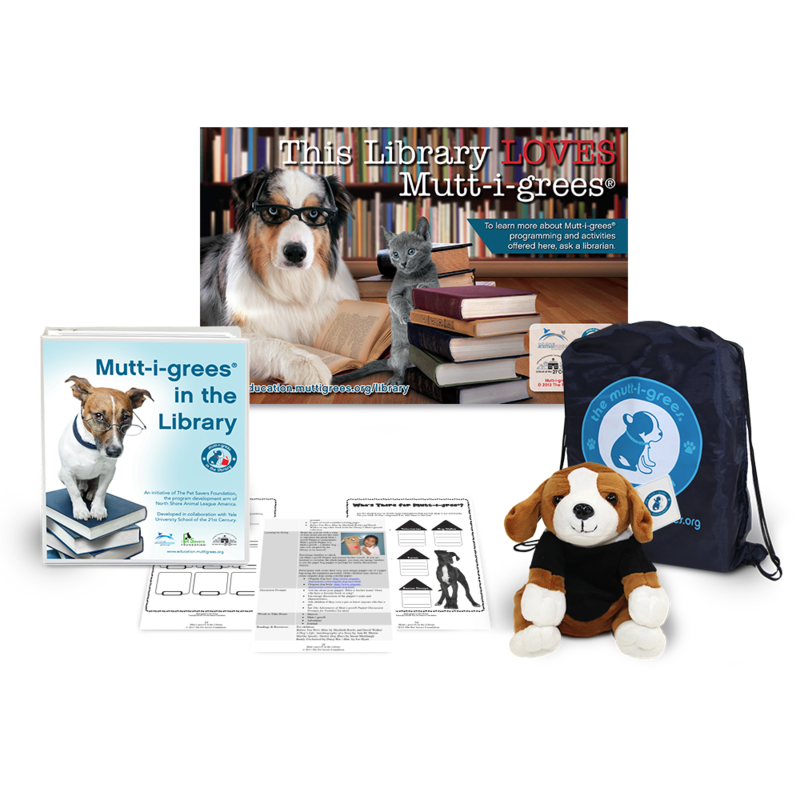 Lauren is also planning another 5-week session of Mutt-i-grees in the Library for this coming summer.